YMS Spirit and FC Dallastown Black had their game faces on in the U11 Girls A Challenge Cup. Spirit defeated Dallastown, 2-0. Photo courtesy of Karl Thuemmler. The cup picture is getting clearer after another great weekend of action. 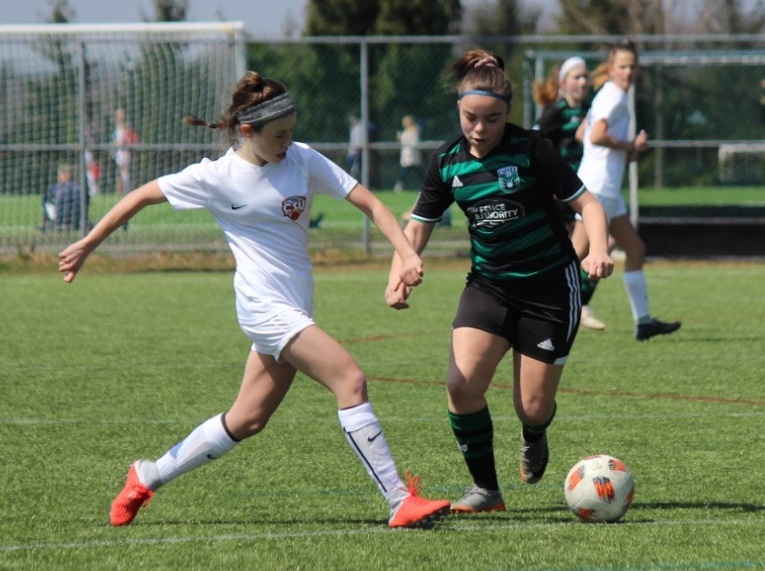 Teams clinched places in the knockout rounds in the Presidents Cup and Turkey Hill Challenge Cup, while others moved into the quarterfinals of the State Cup. Get the weekend story below! In the U11 Girls A division, YMS Spirit moved to the top of Group C with a 2-0 win over FC Dallastown Black on Saturday afternoon. In Group D, PA Classics Academy and Quakertown SC Blast Blue turned in what might go down as the game of the competition: a 5-5 draw at Junction Center. 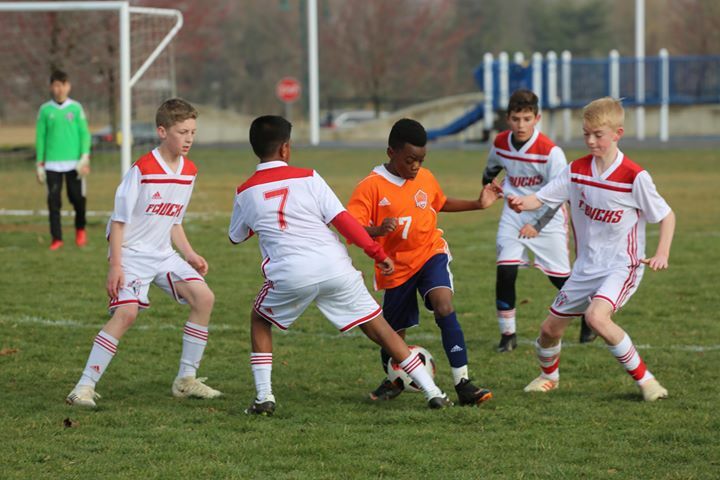 In one of the busiest weekend schedules—15 games—the U13 Boys division produced plenty of storylines. Rose Tree SC Galaxy clinched the top spot in Group C, finishing 3-0. Saturday afternoon and evening also featured three close games: HMMS Thunder defeated FC Steel Black, 3-2; FC Ballyhoo Black drew Elizabethtown United Blue Lightning, 1-1; Haverford SC Elite beat Ukrainian Nationals Red, 1-0. Chester Springs United and Montgomery United combined for eight goals in one of the games of the weekend. Photo courtesy of Franco Lamesta. Chester Springs United Breaker and Montgomery United SC Juventus combined for eight goals at United Sports, with CSU picking up a 5-3 win in U14 Girls action. That moved Chester Springs to the top of Group C ahead of Ukrainian Nationals Red and Hunter SC Flash, which tied 1-1. After a 3-2 win over Manheim Township SC Elite Riptide, ENCO Red moved to 2-0 in the U17 Boys division. Enco sits atop Group E with a crucial game against Warrington SC Ambush (1-0-1) remaining. 1776 United broke through a tough FC Bucks defense in the U12 Boys State Cup. Photo courtesy of Christine V.
Penalty kicks decided an opening round match between North Union United Strikers and PA Rush in U15 Girls action. NUU prevailed after the teams tied 1-1 in regulation and extra time. Philadelphia Soccer Club Coppa Swarm also opened with a victory in search of a third consecutive State Cup title. 1776 United FC Centurion will move on in the U12 Boys bracket after defeating FC Bucks Barca, 4-1, on the road Saturday morning. They’ll play No. 1 seed FC Europa in the quarterfinals.